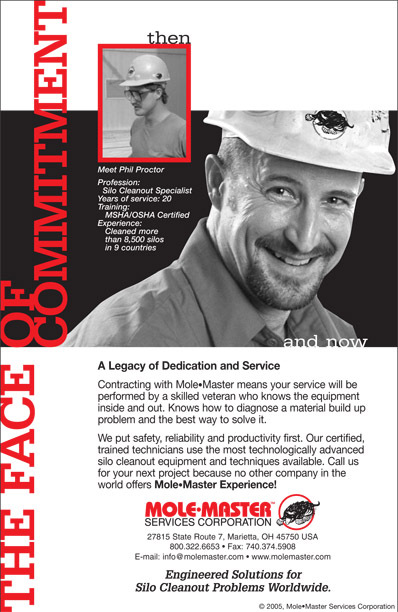 Mole•Master has the most experience in the silo cleaning industry, and that experience stretches across the United States and in thirty-three countries worldwide. For over three decades, we have provided safe and thorough silo cleaning services and solved the toughest cleaning problems. We know that good communication between you and our staff is mandatory to make sure the job is done right and meets your expectations. When we work at your facility, we share with you our plans for solving your vessel blockage problems at the very start and communicate with you on an ongoing basis to make sure everything is going to plan. From start to finish, you are in control and know exactly what is going to happen. Straightforward, honest talk is what you get when you call Mole•Master. 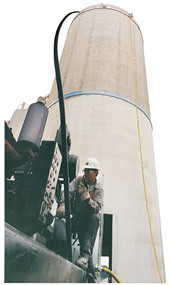 of the many expert-level silo cleaning field representatives working for Mole•Master. 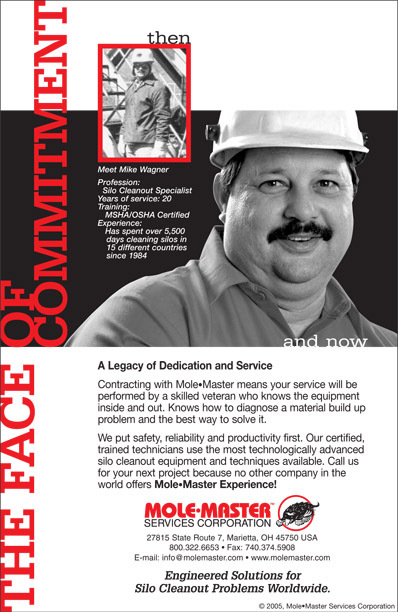 For silo cleaning services for your facility, contact Mole•Master today.